Our doctors are the best! Graduates of the best veterinary colleges and training, experienced in all areas of companion animal care and true animal lovers! In 1988 I left the veterinary practice where I'd worked for four years and began my experiment. 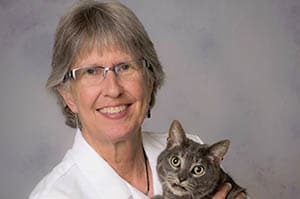 I wanted to prove that a practice devoted to the very best care for companion animals could survive in Arvada. I borrowed money, located space, worked nights to make ends meet, purchased equipment and met with the construction crew. When the doors opened at Care Animal Hospital, I hoped that the name expressed our mission - to provide the very best care for companion animals. The office furniture was used, but the x-ray machine was new and state-of-the-art! I cleaned the floors at night myself, but Care Animal Hospital was one of the first in Colorado to use Isoflurane anesthetic! My family helped answer the phones, but my only technician was fully C.V.T. certified! I didn't know if we'd last a year, but I knew that as long as we did, Care Animal Hospital would provide only the very best care! Care Animal Hospital's 30 staff members provide the very best care to more than 8,000 companion animals! 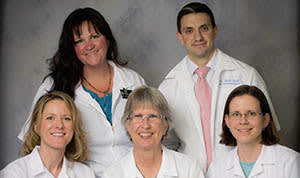 Care Animal Hospital is a technology leader in Colorado with flexible endoscopy equipment, Class IV therapeutic laser, diagnostic ultrasound, two digital X-ray systems - and five veterinarians with the knowledge to use it all! Our commitment to the very best care for companion animals has built a thriving hospital. Every day, clients (many from miles away) bring their pets to Care Animal Hospital because they know there is a difference. Come visit us for a healthy pet exam or for evaluation of a health concern, and experience the difference our care can make!! 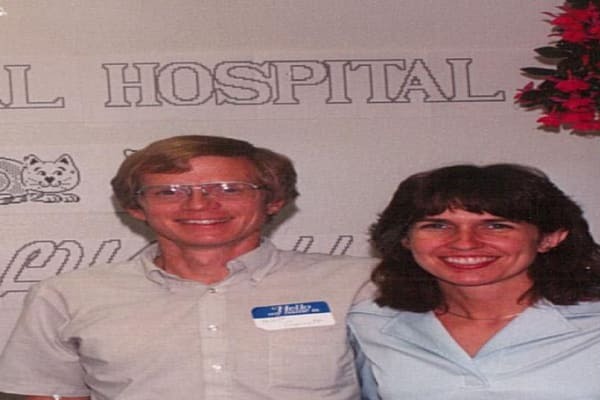 Dr Paige Garnett and her husband Walt at the opening of Care Animal Hospital in 1988. We're proud of our team! We've managed to locate and hire talented and dedicated people who love animals and are fun to work with! If you'd like to join the team, call us and we'll talk with you about our current needs. You can also fill out the application form below and email it to us at [email protected] along with a description of what you have to offer. We always enjoy talking with people who love animals!